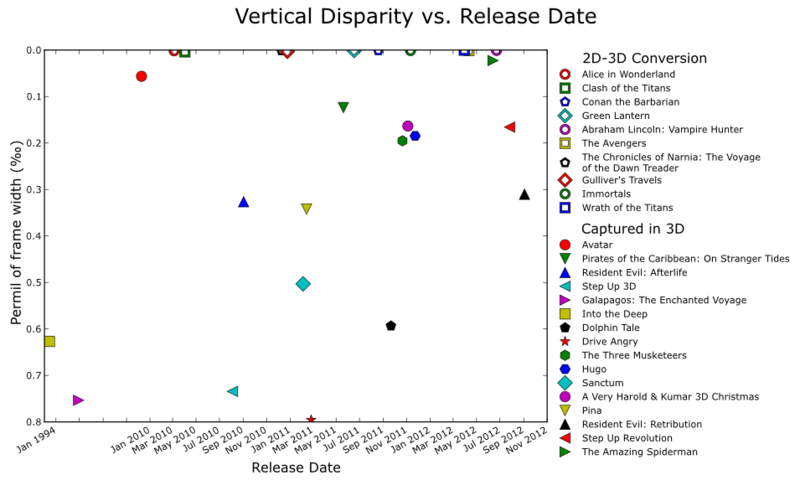 The report presents detailed (384 pages) evaluation results of 5 S3D films, which were converted to S3D format in post-production. 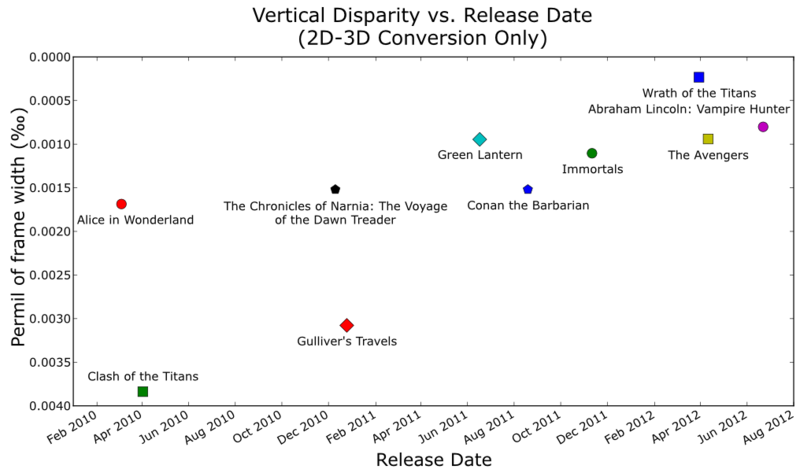 Thorough description of visual-discomfort potential causes that are mostly specific to 2D-3D conversion. 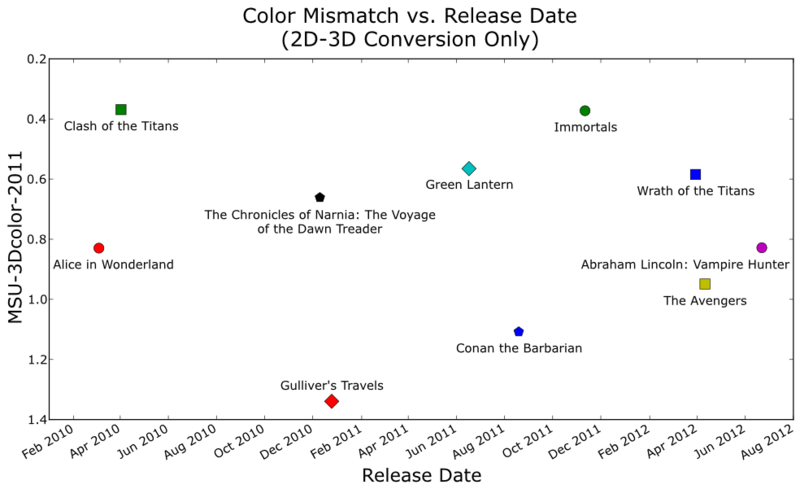 Overall film comparison. 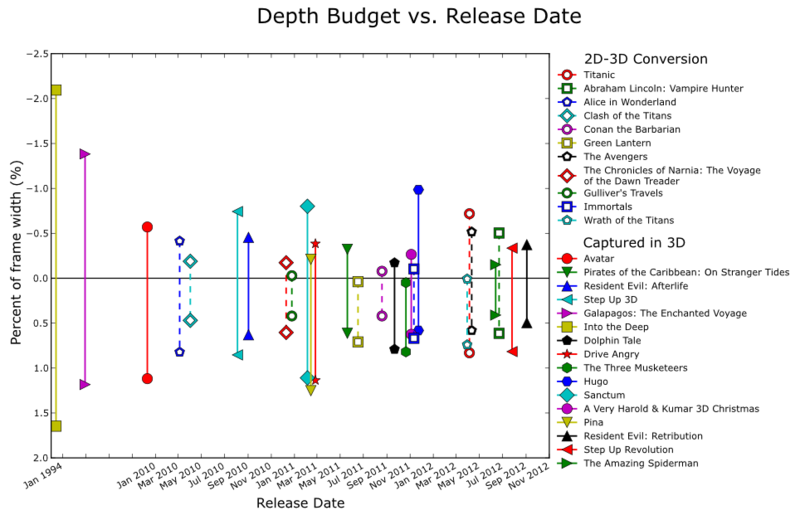 Here go charts depicting the average metric values and distribution of these values in each film. Some charts showing overall comparison results are presented in the Overall evaluation results section on this page. 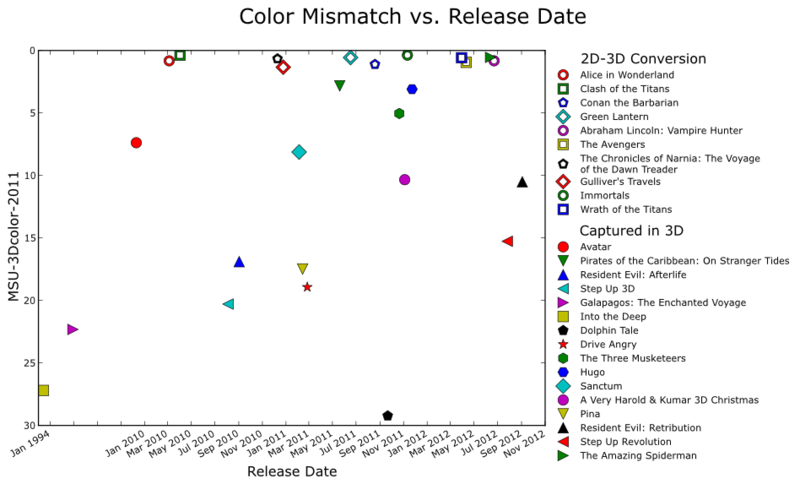 Comparison of 2D and S3D versions of analysed films. Some results of our new approach to depth-map quality evaluation based on finding inconsistencies between stereo disparity and motion parallax. Full report (384 pages) is absolutely free but download is available only for industry professionals (due to publication of real mistakes in the post-production process).